Have you booked your February half term holidays yet? If the answer is no these ideas could be just what you are looking for. February is a great time to take a family holiday as prices are generally low to reasonable and it’s always nice to have something to look forward to isn’t it! The cold weather can also be a huge factor for booking a holiday with kids. My daughter has been asking when it’s going to be summer every day this week. The frosty mornings seem to be getting to her and it’s been lovely to say that even though summer is a while off we are going to be going somewhere a lot warmer in a few weeks! If the cold weather is getting to you and the kids or you are just ready for a change of scenery these ideas for your last minute February holidays could have you enjoying a much needed break in no time at all. There are lots of reasons why families choose to take their holidays in the UK, even in the colder months. It’s the perfect time of year to beat the crowds and you will also find some fantastic holidays deals online. February is a great time to visit Cornwall for a holiday. The traffic is non existent and you will have the beaches practically to yourselves. A holiday without the crowds can be a great experience especially when you have kids to consider. With the promise of plenty of blue sky days, even at this time of year, exploring Cornwall really can provide that holiday feeling even when you’ve packed your hats and gloves. 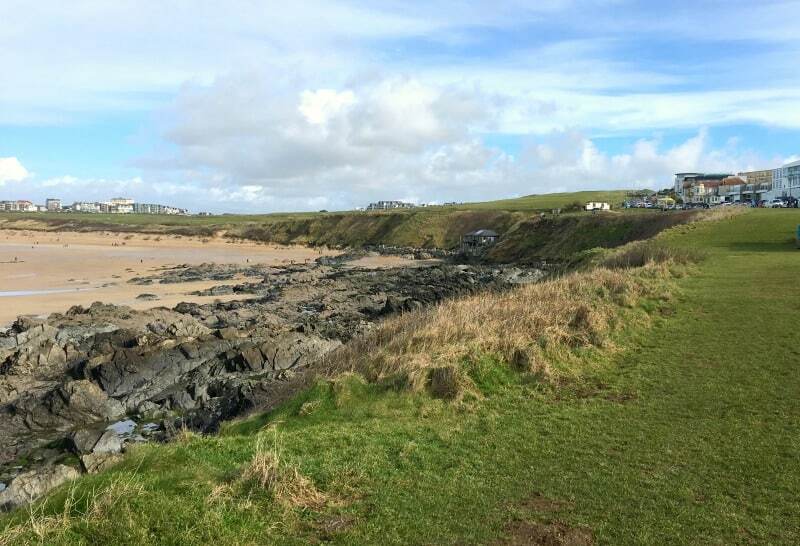 We’ve had excellent experiences at Sands Hotel & Resort, Esplanade Hotel, The Olde House Farm Stay and Porthleven Holiday Cottages at this time of year but there’s plenty of holiday options to suit your families needs. If you don’t want to travel quite as far as Cornwall, then Devon is the next best UK holiday destination in my opinion. We’ve spent a lot of time getting to know Devon over the last couple of years and we really think it should feature in your family holiday plans at some point. With the beautiful landscape of Dartmoor National Park and access to the Jurassic Coast right on your doorstep it’s a must for outdoor and nature loving families. We’ve had the pleasure of staying at Andrewshayes Holiday Park, Cofton Holidays and Crealy Meadows all of which we would be happy to recommend. 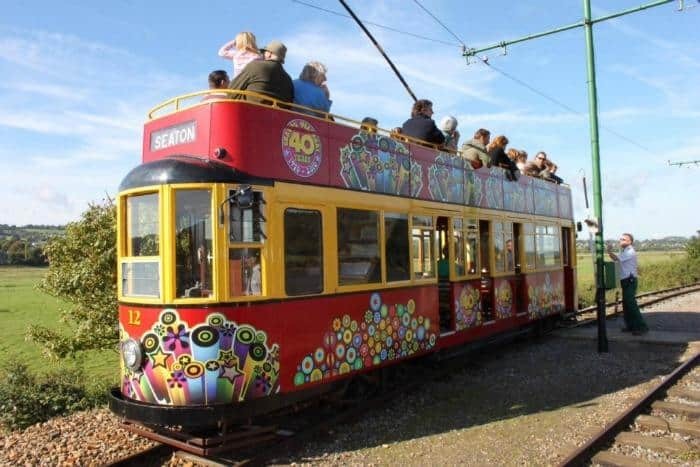 We also loved our days out in Devon with Seaton Tramway, Stuart Line Cruises and Seaton Jurassic was a real highlight too. There is definitely lots to do if you plan to visit Devon over half term. If you prefer the idea of a city break with kids, I don’t think you can go far wrong with spending a few days in London. The Royal Garden Hotel for example is in the perfect location for visiting the museums and provides great access via South Kensington tube to the rest of London. Kids will also love a visit to places like the Tower of London and we would totally recommend a visit to Choccywoccydoodah if you all enjoy a sweet treat. 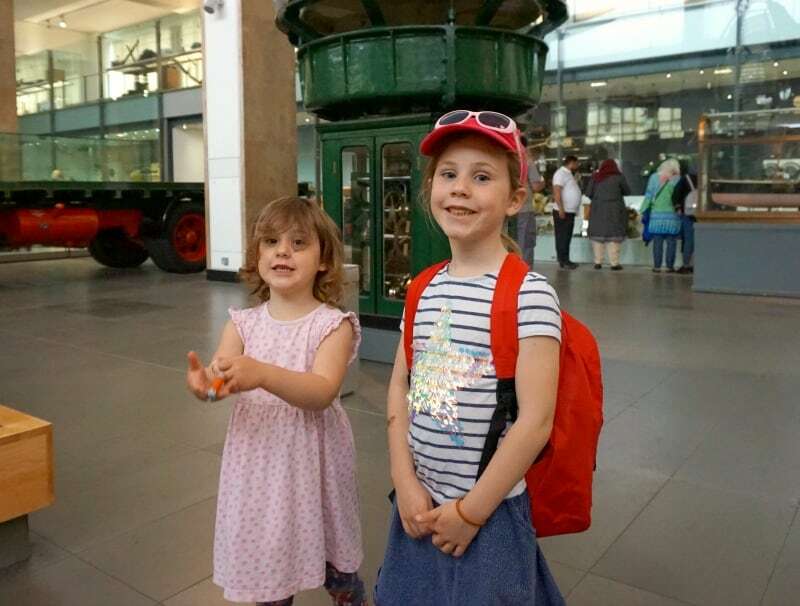 A trip to London is always an adventure for our kids, and it’s a great destination if you fancy a break from driving and hopping on the train instead. I’d strongly recommend buying a Family & Friends Railcard and getting some huge discounts on your tickets before you travel to London too! If we weren’t going to Morroco for February half term, my second choice would have been a city break in Lisbon. I can see us visiting the city later in the year as there are so many things to see and do in Lisbon that are family friendly. 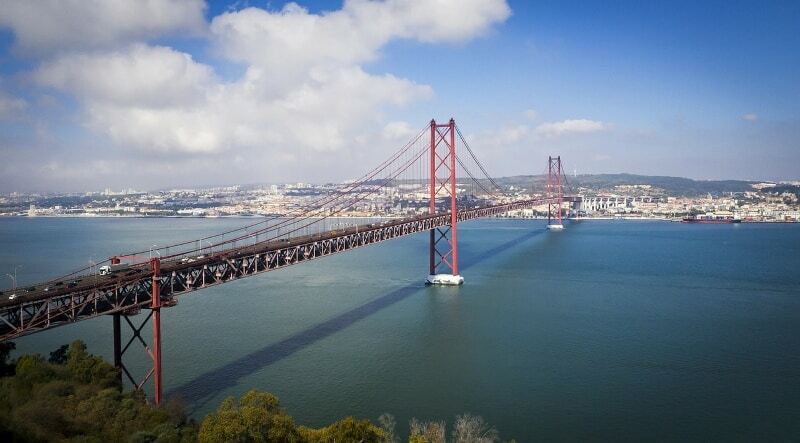 If you are looking for some warmer weather, with a splash of culture then Lisbon is going to be right up your street. You could take a cable car ride along the river, explore the city streets on the local trams and stop by the city’s famous aquarium to give you a few holiday plans to get you started. 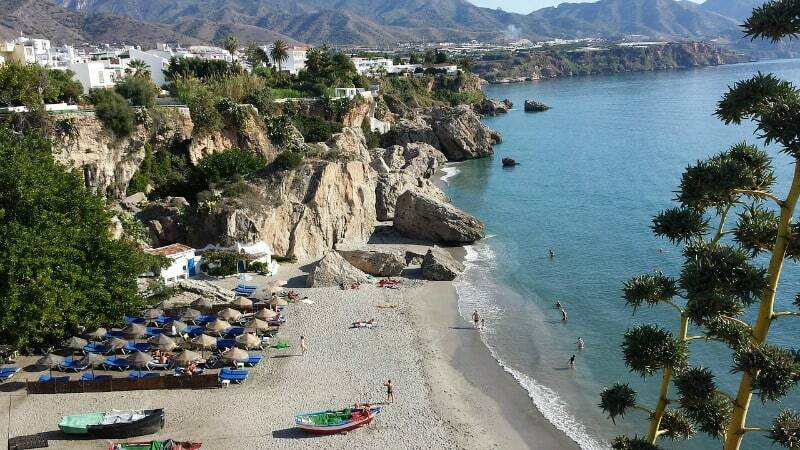 Nerja on the Costa del Sol is a great holiday destination if you are looking for a relaxing Spanish break. There are excellent beaches lined with restaurants offering local specialities and freshly caught fish. The town makes for a great place to take a stroll, shop and there are no shortage of tapas bars should you get a little peckish. For places to visit the Cueva de Nerja is a famous local attraction and you can also take a trip to the beautiful village of Frigliana to enjoy some spectacular views. If you don’t want to travel quite as far, there’s plenty of short break ideas in this post too! 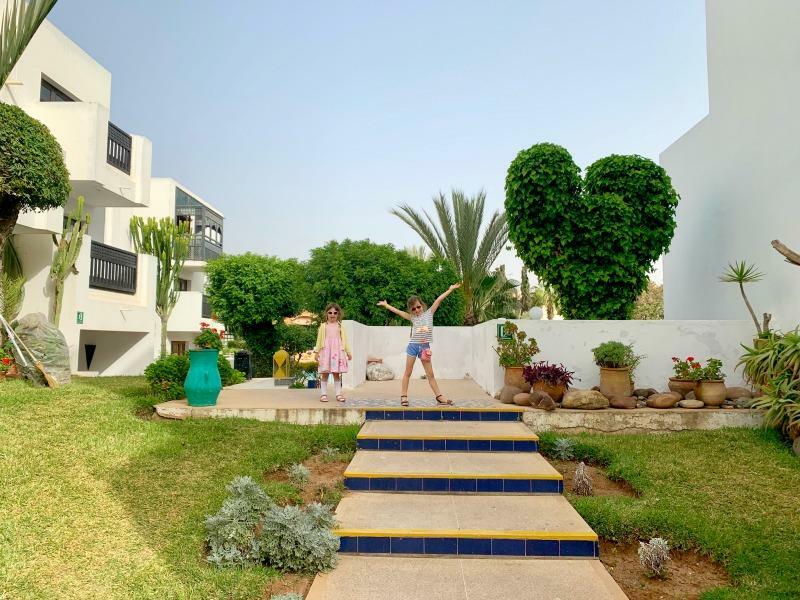 Despite our not so successful holiday to the Monica Isabel Beach Club in Albufeira, I would still recommend a family holiday to this part of the Algarve. The beaches are stunning and there’s lots of things to see and do in the area. If you are planning to go on holiday with small children they will love the Albufeira tourist train and making the most of all that space they will have for building sandcastles on the beach. It’s a town packed with restaurants and cafes so if you prefer a self catering holiday you will have no trouble mixing up visiting reasonably priced local restaurants and cooking at home. Visit the local markets to get the very best fresh produce as there’s no reason for meals to be dull even when you are staying in self catering. With Brexit on the horizon and arrangements for travel to Europe unclear at this point perhaps it’s time to start thinking of other places to visit for our winter sun. 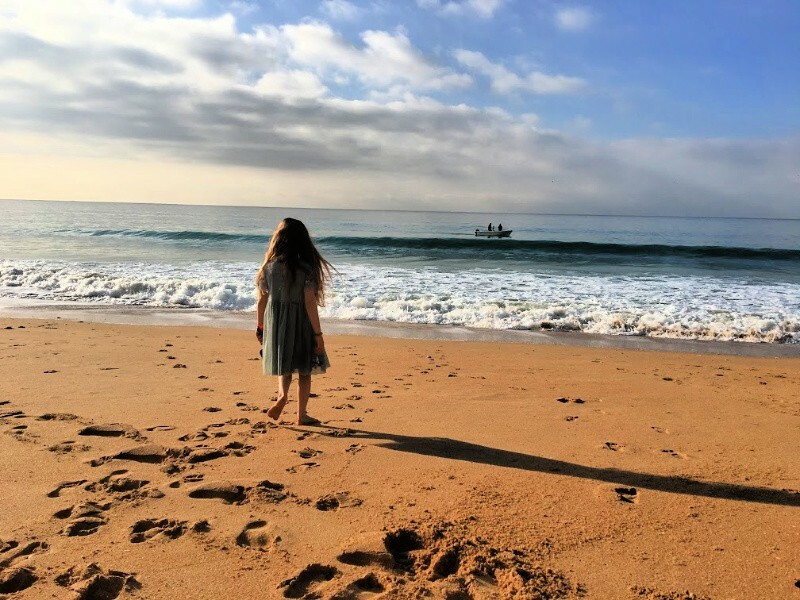 This is partly what has inspired us to visit Agadir for our February holidays, as well as it being our first ever visit to Morocco. Agadir is more or less parallel to the Canary Islands to give you an idea of the location. The weather in February is set to be in the 20’s so warm sunshine is most certainly going to be on the horizon and one thing I can guarantee you is that Indie is looking forward to that! Also, if you haven’t considered Marrakech before, you might be interested to know that it is surrounded by some incredible holiday resorts. 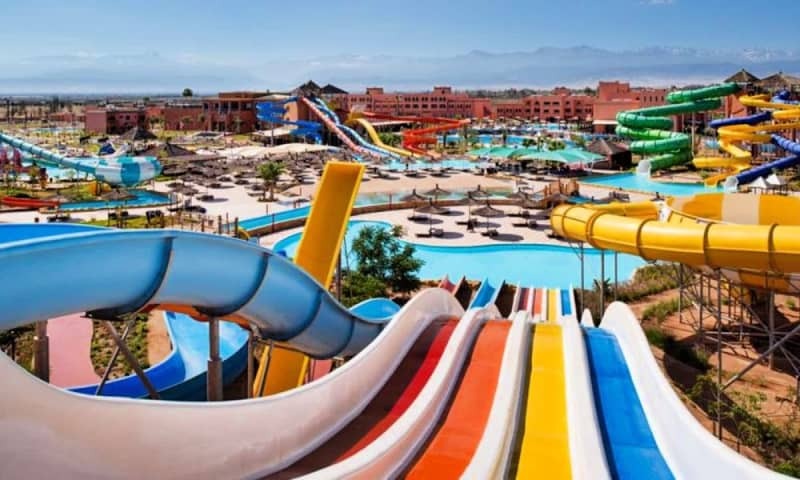 Even though you aren’t near the beach, there are some great water parks so you can mix holiday vibes with a visit to the cultural sensation that is Marrakech for a one of a kind type of holiday.